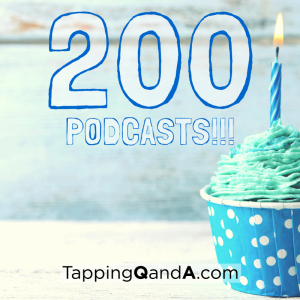 Between the bonus podcasts and the full show I have shared over 200 podcasts! Rick Wilkes, Robert G. Smith, Robert Kendall, Rod Sherwin, Ron Ball, Rue Hass, Sebastiaan van der Schrier, Shoshana Garfield, PhD, Stacey Vornbrock, Stephen W. Carter, Steve Wells, Sue Beer, Susan Peach, Susanne Peach, Tania A Prince, Ted Robinson, Terry Lynch, Till Schilling, and Wil Horton. None of the guests was paid for their contribution. I feel so blessed that they were willing to share their time and their information and wisdom. As the person who had a front row seat for the full catalog I know my life is richer because of it. Recently, I was chatting with Gwyneth Moss and she asked if she could interview me about what I learned from doing 200 podcasts. That is the interview I am sharing this week. Even though you receive the podcast free of charge does not mean that it is free to produce. Between the time it takes to record, edit, and publish each podcast as well as the bandwidth costs for you to download the shows, it costs between $300 and $500 per episode to produce and distribute. Here are my reflections on 200 shows. I would love to hear yours down in the comments. I’ll be sure to know the 200 archive will be worth its weight in gold and look forward to receiving it.